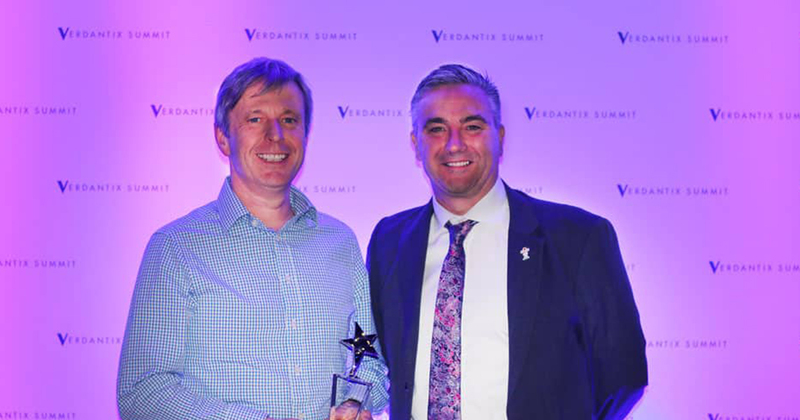 Independent research firm Verdantix has confirmed Airsweb client Kier a winner of the prestigious International HSE Innovation Awards. 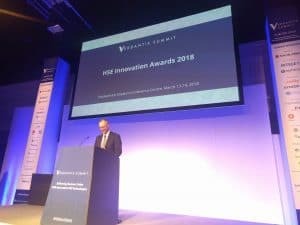 All 22 finalists were judged by four independent judges in senior EHS management roles and the 11 winners were announced at last night’s HSE Summit Europe Innovation Award ceremony, held in London. Pictured | Simon Rogers, Group Head of Business Assurance and John Edwards, Group Safety Health Environmental & Assurance Director Kier Group receive their Award. Kier won the construction and real estate category for implementing a multi-level real-time dashboard. Using software from Airsweb, Kier was able to benchmark like-for-like HSE performance across their 32 operating companies for the first time. Commenting on the win, John said: "The SHE dashboard is key to our being able to demonstrate to the Kier board and stakeholders the positive improvement in our SHE performance, but was also a keystone of the overall software implementation alongside Airsweb. 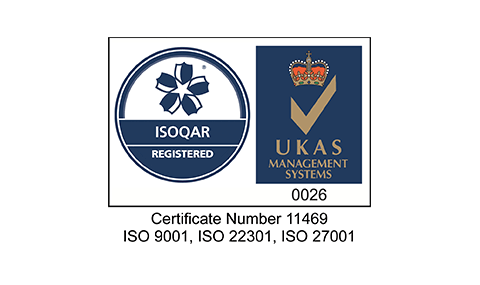 The implementation of the software and the creation of the dashboard has been a collaborative project from the start and we are very pleased to receive this recognition." 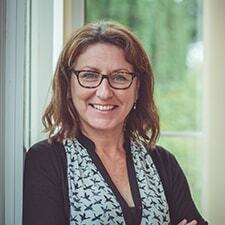 After a careful review with a selection of providers Kier recognised Airsweb as providing the right solution for them. Implementing Airswebs user friendly solution across the Kier Group they are now able to have full visibility of issues to support positive behavioural change group wide.